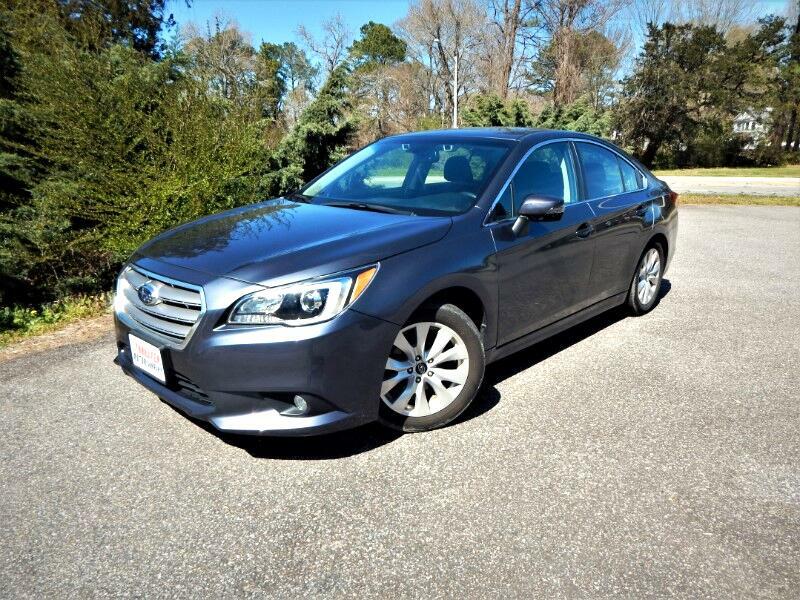 Loaded Legacy Premium *** Sunroof,Navigation, Eyesight, Adaptive Cruise,Lane Departure***One Owner! 2016 Subaru Legacy Navigation,Sunroof,Eyesight,Lane Departure,Loaded! A roomy cabin, an upgraded interior and standard all-wheel drive make the 2016 Subaru Legacy a solid pick for a midsize sedan, especially if any rain and snow may accompany your commute. Thanks to its offering standard all-wheel-drive systems on nearly all of its cars, Subaru has long been a popular choice for car buyers living in wet, snowy climates. But the Subaru Legacy aims to deliver more than just all-weather capability. A new look, improved fuel mileage, increased passenger comfort and new safety features make the redesigned Legacy a more competitive sedan among its midsize rivals. These updates have made the Subaru Legacy a more well-rounded midsize sedan, one that needn't rely solely on all-wheel drive to sell. Overall, it's hard to go wrong in this segment. But if you want a refined and comfortable family sedan that can handle any kind of weather -- or simply something different from its mainstream competitors -- the Subaru Legacy merits strong consideration. As with any other of our vehicles, you may have this one pre-inspected by your trusted mechanic prior to purchase. We strive to only keep high quality vehicles with low mileage offered at the most competitive price. We are a family run independent Dealership with over 30 years of experience serving families, and our low overhead translates to lower prices for our customers. Each of our pre-owned certified vehicles goes through a 108 point check and Virginia residents receive a brand new State Inspection. Visit us online at www.lynnhavenmotors.com to see more pictures of this vehicle, or call us at 757-425-9300 today to schedule your test drive. Vehicle Inquiry for 2016 Subaru Legacy Navigation,Sunroof,Eyesight,Lane Departure,Loaded!